If you have a fireplace in your home, congratulations! In many cases, people will buy (or not buy) a particular home depending on whether there is a fireplace present, or not. Fireplaces add a feature of beauty to your home and a mantle for an eye-catching spot in your home. Memories are made around your cozy fire. And, let’s not forget the amount of warmth and heat a fireplace adds to your home as the temperatures begin to drop this fall. Fireplaces are fantastic. Why not consider taking optimal care of it, so it can take optimal care of you. Fireplaces need to be safe and serene at the same time. There are many important reasons for you to maintain your fireplace with a chimney inspection and cleaning. Your fireplace may have acidic deposits on it that happened during the combustion process. These need removed and clean to prevent premature deterioration. You may also have creosote buildup (a flammable material that happens when there is incomplete combustion). This buildup can cause a fire that can spread to other areas of your home. You also need to ensure there is nothing blocking your chimney to obstruct it. Chimney inspections are necessary to detect structural defects as well. 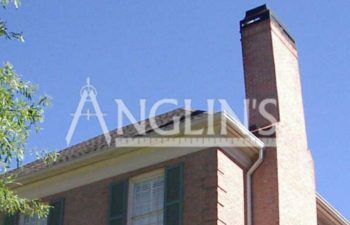 Whether you need your chimney repaired or inspected, Anglin’s Foundation & Masonry Repairs has you covered. We are Georgia’s experts for chimney repairs, inspections and restorations. We have been offering our trusted services for over 80 years. Call and book your appointment with Anglin’s today, so we can help you care for your chimney.